Have you visited The Grilled Cheese Academy, yet? If not, I am not really sure what you are waiting for. 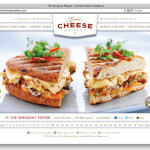 Included in this site are 30 unique grilled cheese sandwich recipes with stunning photography. (It doesn’t hurt that Pam from The Office does the voiceovers.) I implore you, go now. I will wait…….yes, I meant now…………………………………. Unfortunately, for this Grilled Cheese Academy Grilled Cheese Sandwich I did not use Wisconsin Feta but instead used Israeli Feta. My apologies to the state of Wisconsin. Somehow, I forgot to focus on the Wisconsin part of Wisconsin Feta. My mistake. However, this Israeli Feta worked perfectly in this grilled cheese, providing the perfect flavor required. Now you see how awesome this site is? 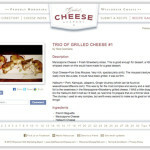 The Grilled Cheese Academy was created by the Wisconsin Milk Marketing Board in order to promote Wisconsin Cheese. What a great idea and an even more amazing site. The minute I visited, I made a list of my favorite grilled cheese sandwiches (#s: 1, 6 (veggie), 8, 11, 13, 15 (veggie), 18 (veggie), 19, 22, 23, 26, 30) and started planning when to create my first sandwich. After checking with the sous chef’s husband, I chose The Athena and April 11. 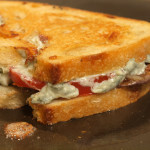 I had previously created an olive tapenade grilled cheese sandwich but this sandwich intrigued me. Tzatziki sauce? Never made it let alone used it with a grilled cheese. 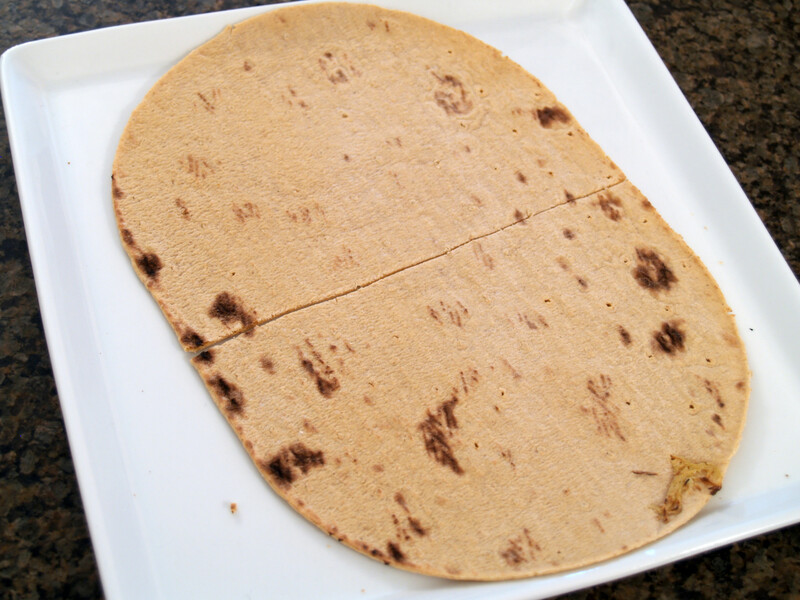 Flatbread? A different kind of bread I hadn’t thought of using? Count me in. 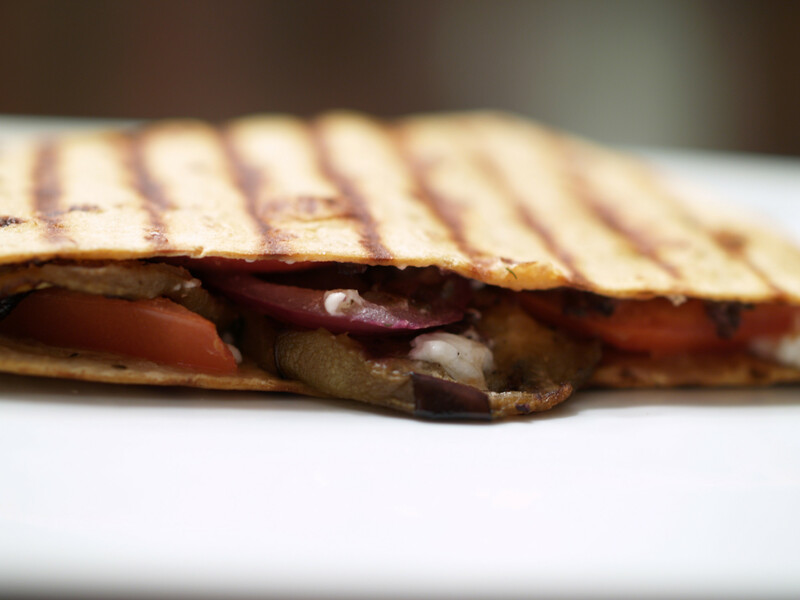 Now it was time to recreate this amazing Athena grilled cheese sandwich, photo above. 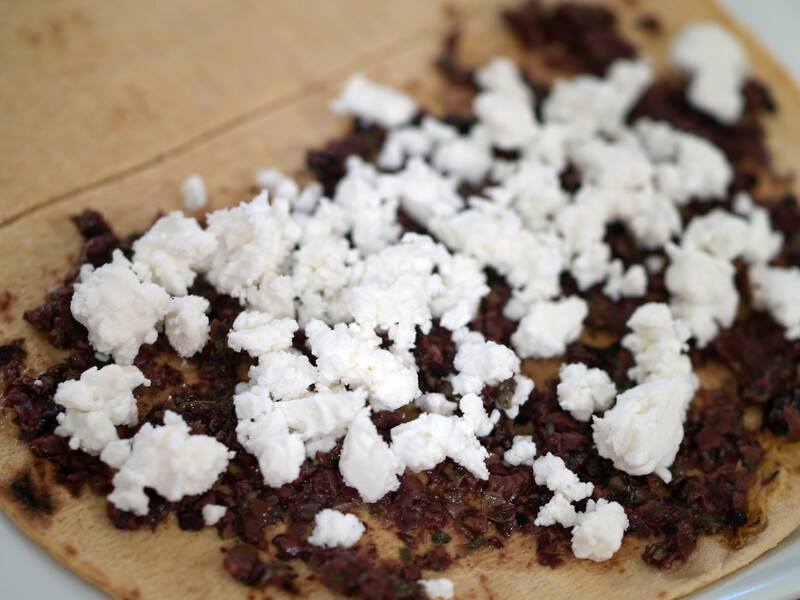 I followed the GCA recipe pretty much exactly, except for using Israeli Feta and anchovy paste (instead of fresh anchovies). 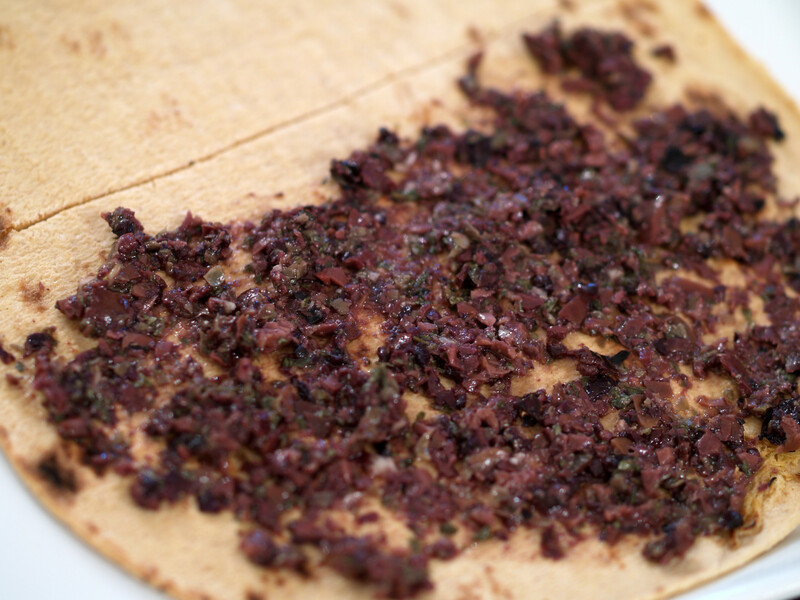 To make the olive tapenade, I put the olives, capers, parsley and garlic in a food processor with the olive oil. Mix it up and you are all set. As specified by the recipe, all that was needed done to the eggplant slices was to drizzle some olive oil and add salt/pepper. 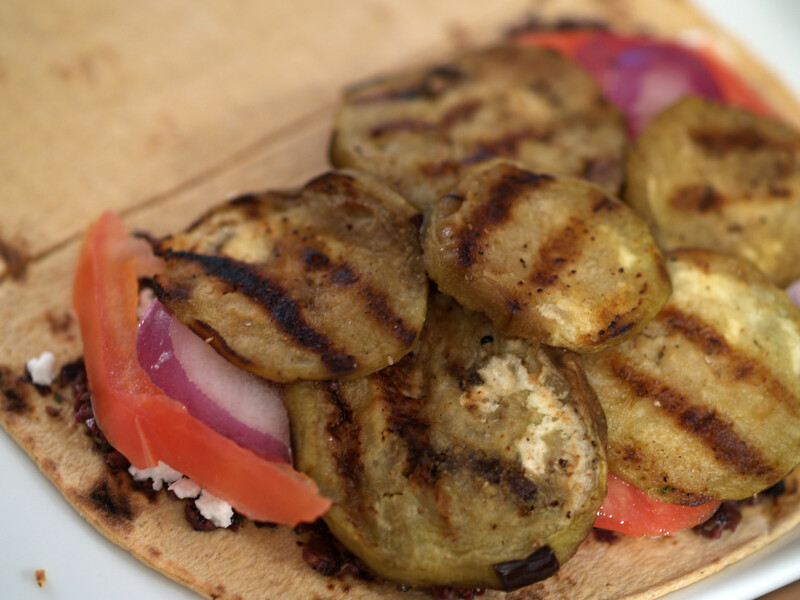 The eggplant could have been eaten by themselves once they were done grilling. I had heard of Greek yogurt but never tasted it so I was definitely excited when it was included in this sandwich’s Tzatziki sauce. I did not completely read through the actual recipe when deciding to create this particular grilled cheese. I simply read the ingredients and went from there. 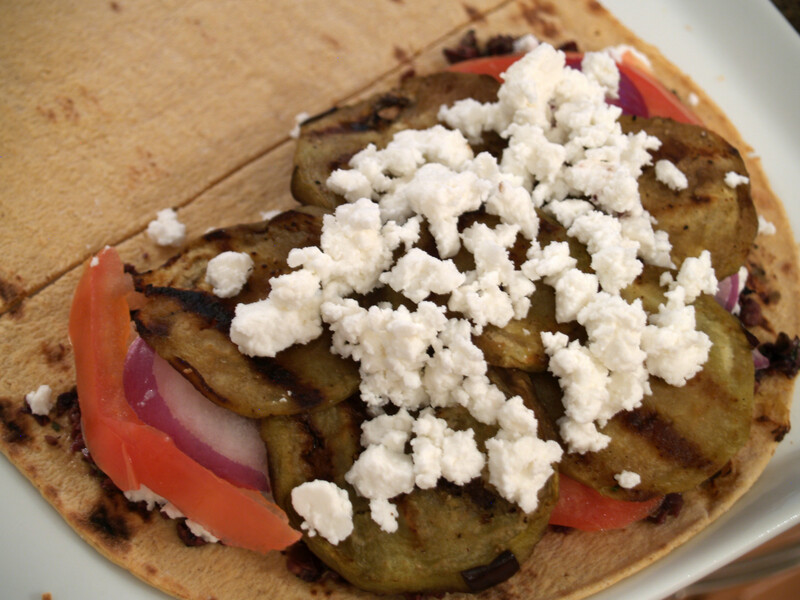 Therefore, I was surprised to learn that the Tzatziki Sauce was not actually included within the grilled cheese, rather it was to be used as a dipping sauce. Let me tell you, it worked very well. 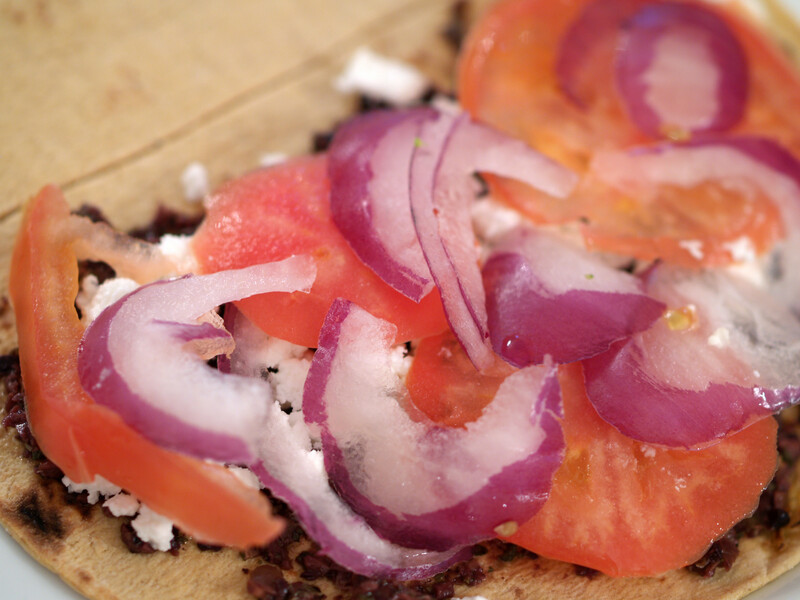 In my opinion, the hardest ingredient to find and choose was the flatbread. I went to a couple different places trying to find the perfect variety that looked closest to what the Grilled Cheese Academy had used. I do not know if I found the best choice, but it definitely worked. 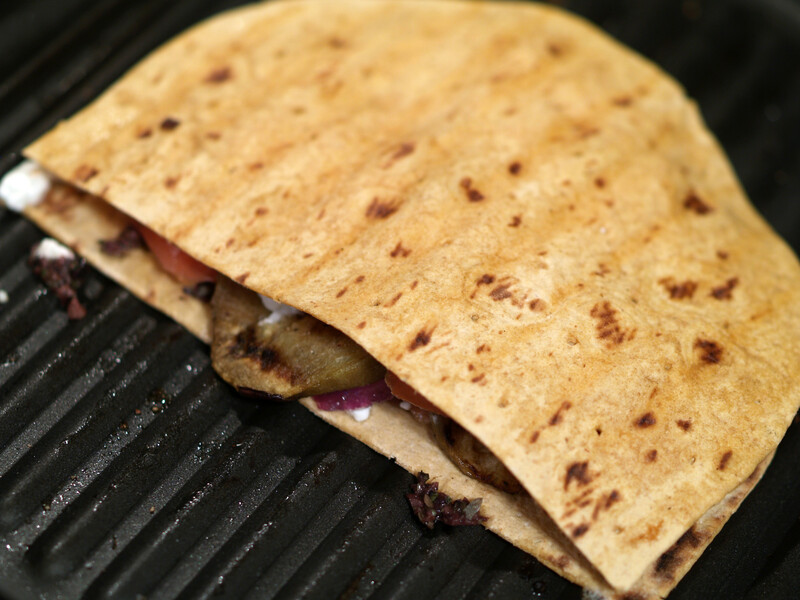 If anyone has a great suggestion as to what the best flatbread brand is, or where I should look for the best, please leave a comment below! 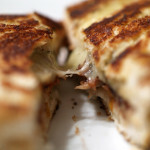 I am really glad that I tried this grilled cheese, even if I had already recreated an olive tapenade grilled cheese. 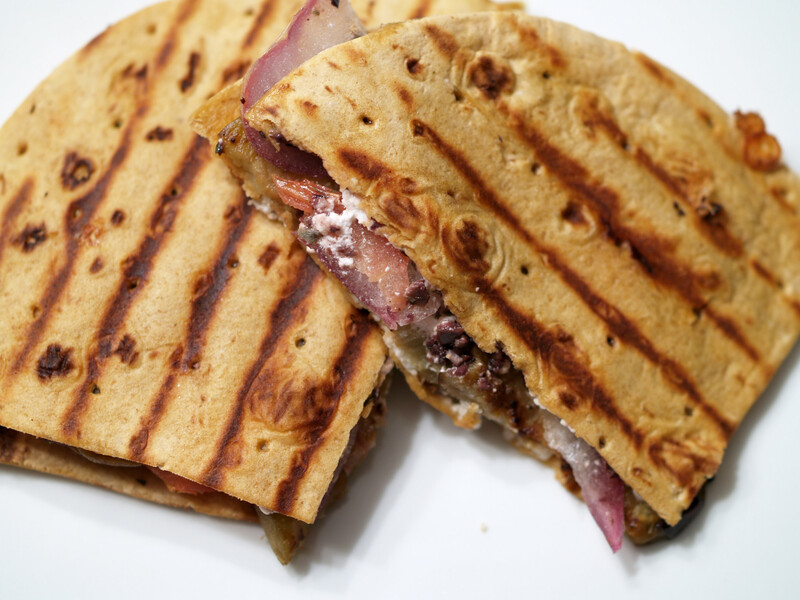 The best part of this grilled cheese, in my opinion, was the Tzatziki sauce and flatbread, the two main reasons I created the sandwich in the first place. The sauce added a nice cold contrast to the hot grilled cheese. 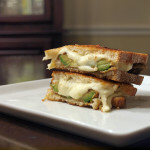 However, since I am not a huge fan of olives, I cannot say I loved this grilled cheese. Overall though, I would definitely say that all of the flavors, including the veggies, combined to make a very unique flavor that everyone should try to create. P.S. If you are headed to the Grilled Cheese Invitational, please keep your eyes open for the guy wearing a GrilledShane t-shirt and passing out limited edition GrilledShane business cards. 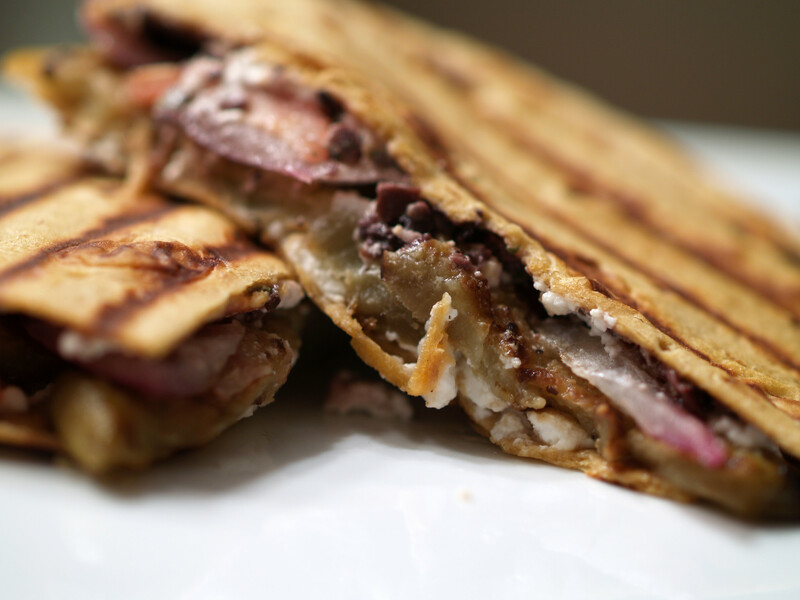 Posted in Grilled Cheese and tagged A Minus B Plus, eggplant, feta, flatbread, greek yogurt, grilled, grilled cheese academy, olives, onions, red onion, tapenade, tomatoes, Tzatziki, wisconsin cheese. Looks awesome! I want to try to make a tapenade sometime soon! I bet you’ll like the sauce even better when you use PLAIN yogurt and not vanilla! LOL Greek yogurt is really great, but when you’re cooking with it, and using it as a base for sauces or as a substitute for sour cream, etc. plain is the way to go! =) Try it on a baked potato or buy the Hidden Valley Ranch dry mix packets and combine with plain Greek yogurt instead of sour cream/mayo. Tasty with veggies and less fat/calories! Haha, whoops! I told you I was a Greek yogurt novice. lol I was so focused on making sure that I got Greek yogurt, my mind must have went crazy when I actually found it. I am not even sure if where I bought the yogurt from had plain. Hmmm….